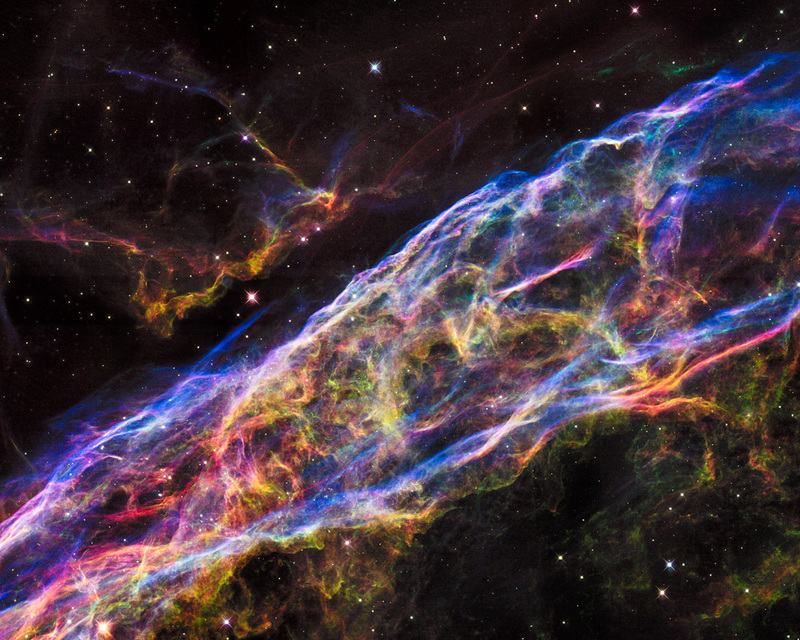 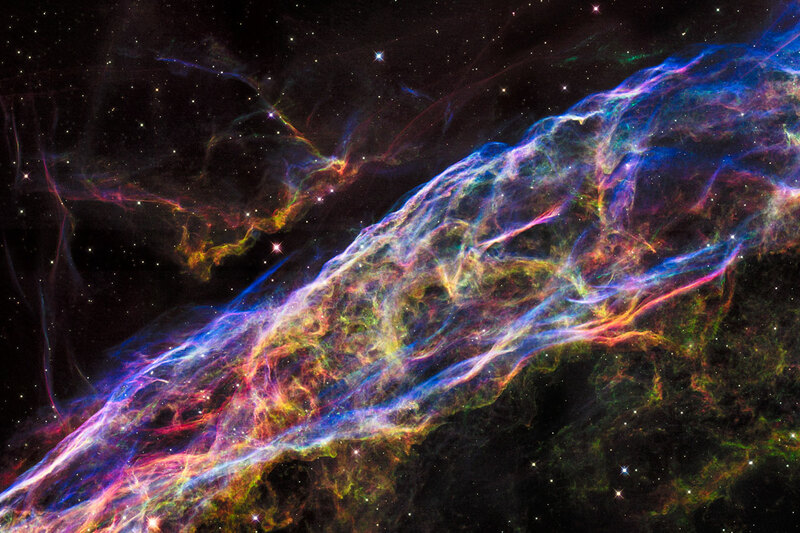 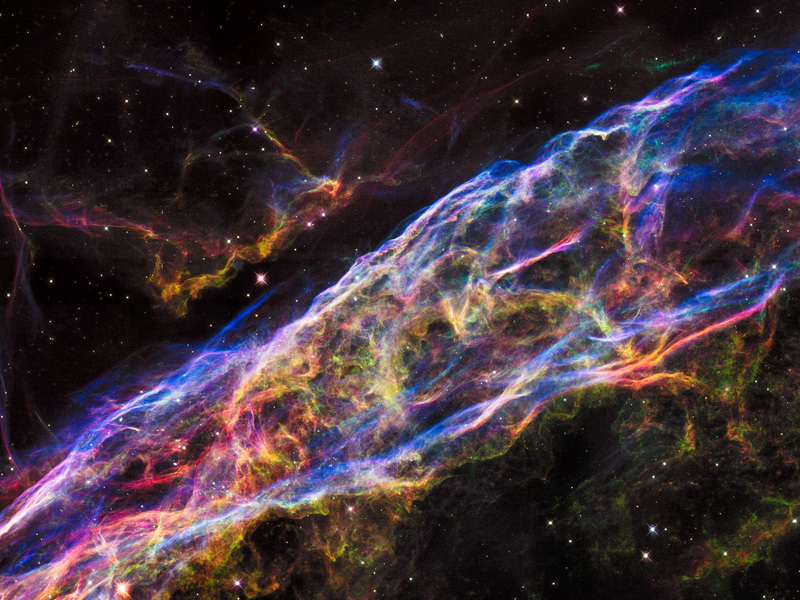 This image shows a small section of the Veil Nebula, as it was observed by the NASA/ESA Hubble Space Telescope. This section of the outer shell of the famous supernova remnant is in a region known as NGC 6960 or — more colloquially — the Witch’s Broom Nebula. 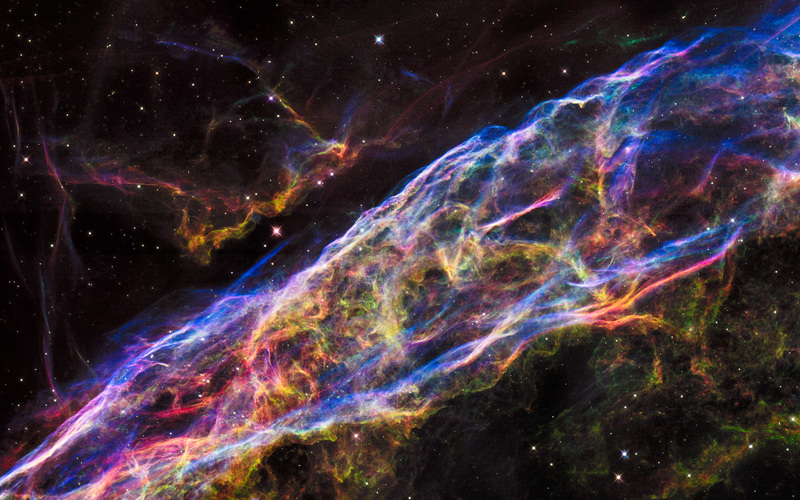 Position (Dec): 30° 57' 53.92"